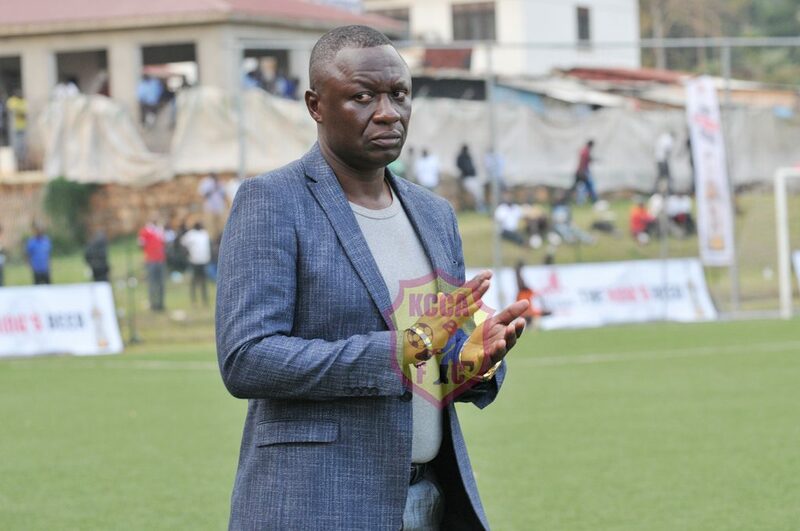 KCCA FC gaffer Mike Hillary Mutebi has lauded his players’ display during the Super 8 game against Bul Fc held at StarTimes Stadium on Saturday 4th 2018. 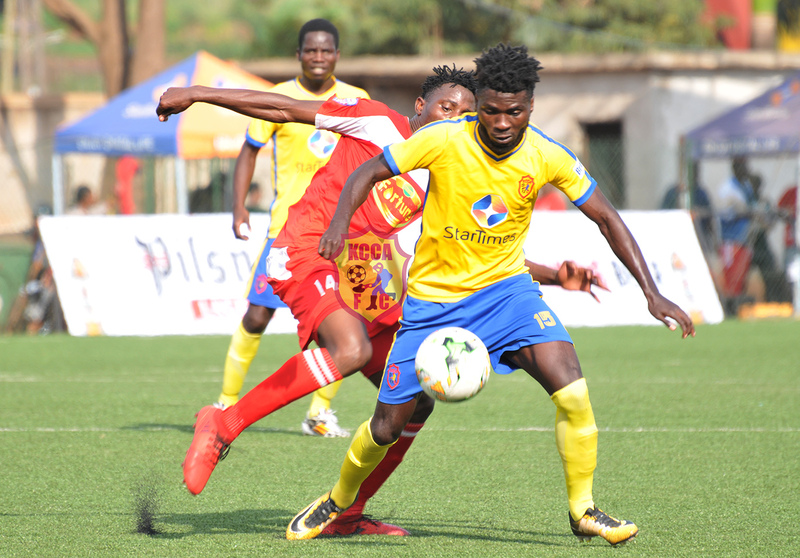 KCCA FC were 3-2 winners against Bul Fc in the inaugural game of the tournament, a game which had debutant Allan Kyambadde open his goal account for his new club. Muzamiru Mutyaba and Mustafa Kizza scored the other goals. There is demand to win and this mentality has to be instilled into the players. We need to fit the pieces. I want to play the two Allans (Kyambadde and Okello) as a couple. This tournament gives me that. The other alternatives are having Muwadda Mawejje push Julius Poloto. Nicholas Kasozi push Isaac Kirabira, and have Fillbert Obenchan, Hassan Musana and Muwanga pattern. Allan Kyambadde beats his marker Hamis Tibita in the Super 8 game between KCCA FC and Bul FC held at StarTimes Stadium. The tournament gives us a platform to experiment but as well to win because winning must be part and parcel of our DNA and not just winning but winning beautifully. We must have an identity as a club and that we got to stick to it. It’s painful it’s not easy but we shall get it right. And with all the players we have, by the time the season starts we will have got it right. Super 8 gives us the platform to experiment the things we have to do. He added.